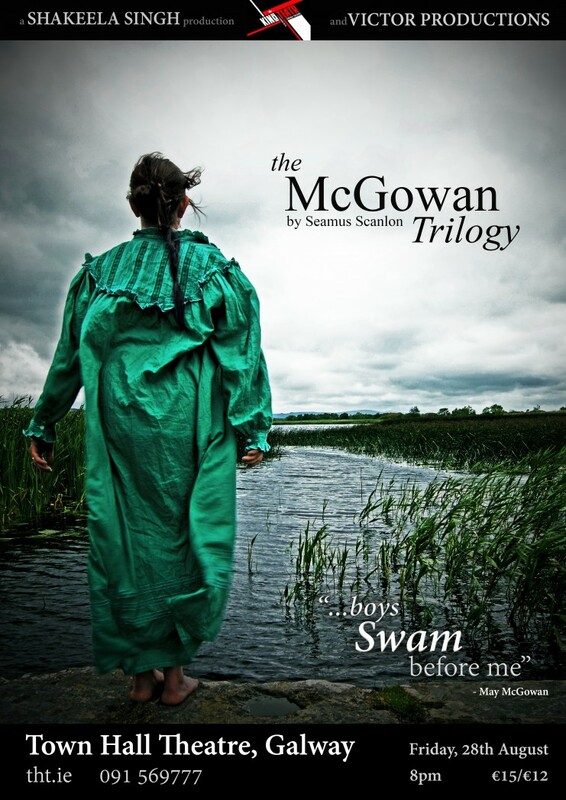 The award winning McGowan Trilogy is back for one night only – this Friday Aug 28th Main Stage. Info and tickets here Town Hall. The Trilogy is a set of interrelated one act plays examining the Irish ambiguity towards violence in general and physical force republicanism in particular, and how violence corrupts the perpetrators as well as the victims. The antihero, Victor M McGowan (the M stands for murder ), was raised in Old Mervue, spent his summer holidays near Callow Lake in Mayo, and moved to Belfast where the milieu of mayhem suited his erratic psyche. The individual one act plays are Dancing At Lunacy, The Long Wet Grass Minutes, and Boys Swam Before Me. The settings are a drinking club in Belfast, a field beside Callow Lake, and a nursing home near Tuam. I just want to tell you that I am just newbie to weblog and really liked you’re page. More than likely I’m likely to bookmark your site . You surely come with really good well written articles. Thanks for sharing with us your blog site. I¡¦ll right away seize your rss as I can not to find your e-mail subscription hyperlink or newsletter service. Do you’ve any? Kindly let me recognise in order that I may subscribe. Thanks. Just wish to say your article is as amazing. The clearness in your post is simply spectacular and i can assume you are an expert on this subject. Fine with your permission let me to grab your feed to keep updated with forthcoming post. Thanks a million and please keep up the gratifying work. you’re really a excellent webmaster. The website loading speed is incredible. It kind of feels that you are doing any unique trick. Moreover, The contents are masterwork. you have performed a magnificent process in this topic! I’m writing to let you understand what a wonderful discovery my wife’s child enjoyed reading your site. She even learned a lot of pieces, including how it is like to possess a marvelous giving character to make many others really easily learn about a number of advanced topics. You actually did more than readers’ expectations. Thank you for imparting the invaluable, healthy, explanatory as well as easy tips on this topic to Mary.